If the living room is public space, the bedroom is intimate and chamber. Ideally, it is always better to insulate a place to stay. But, for example, in the case of studios or apartments with small square footage we have to combine functions in a single space. We found 7 successful projects of Russian designers. 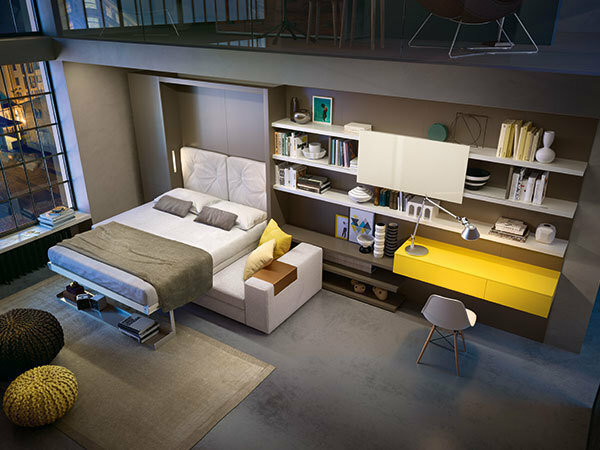 Sometimes the apartment is so small that to separate the bedroom and the living room is not possible. To sleep owners prefer to complete the bed. 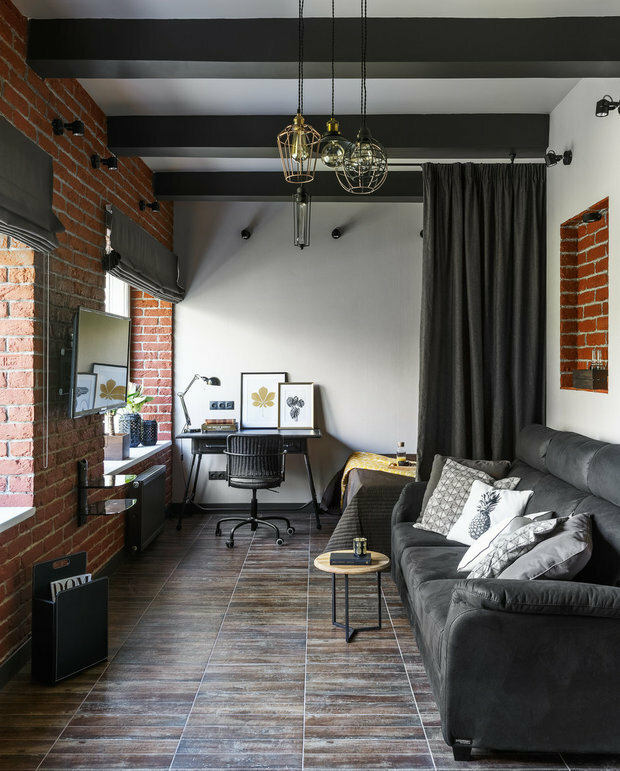 For example, in a one-room apartment with an area of 28 squares designer Julia Veselova has not distinguished between functional areas, but did provide them with lighting and decor items. Between the sofa and bed appeared lamp hanging above the couch decor, and floor carpet. 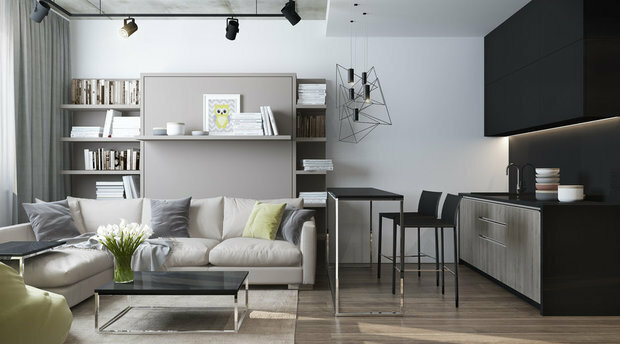 The area of a living room in the apartment, which was designed by designer Alexander Nikulin, 17,6 square meters. This is enough to zone space and to isolate the sleeping area, but the owner of the apartment didn’t want to split the room. 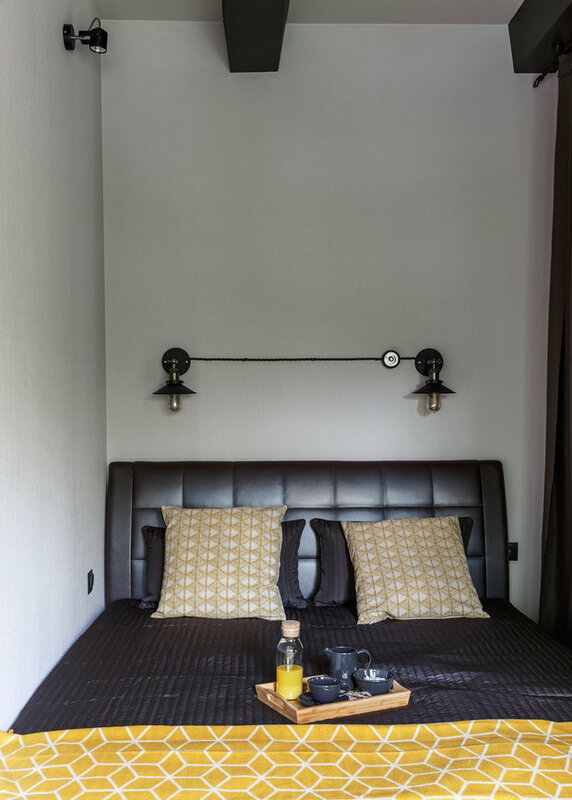 Despite the presence and sofa for guests and beds for the hostess, the room is spacious and bright. But if necessary, a heavy curtain can be closed for privacy. 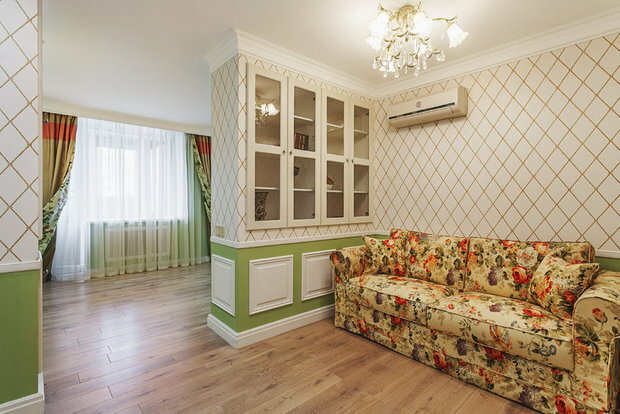 Almost the same original data and in the project of the designer-decorator Marina Sargsyan – one living room with an area of 17.7 square. But her owners – family-middle-aged couple – I chose to separate the space and build a wall with built-in storage system. Living room in a typical panel house series P-43 a little more than 19.3 square. 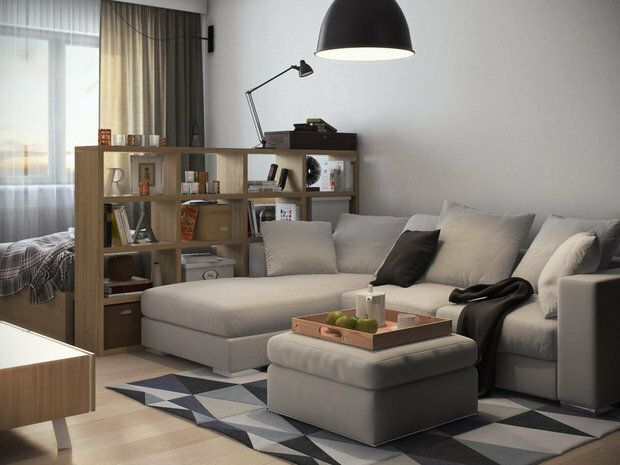 To combine in her living room with a large corner sofa and a bedroom with a double bed easy. Designer Nikita’s Tooth is also used for this rack. 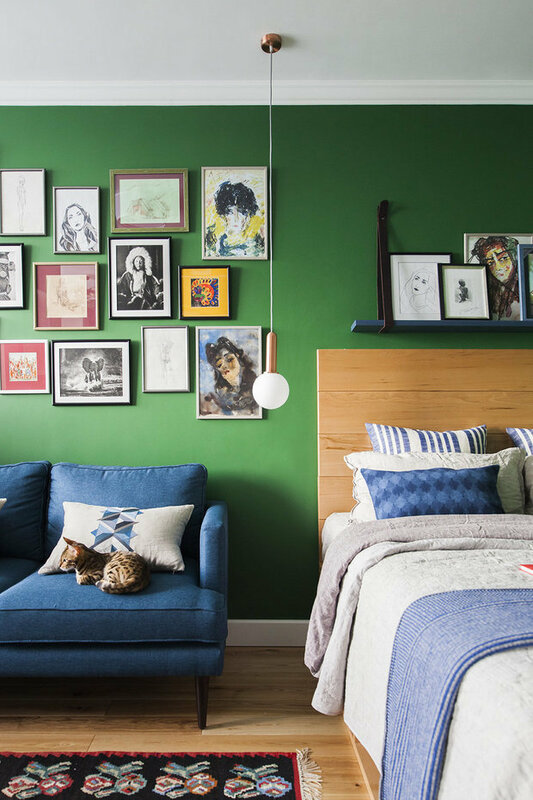 If it is possible to redesign the bedroom you can “hide” in the niche. Sometimes it include a couple of bedside tables on both sides of the bed or just a mattress on the podium. 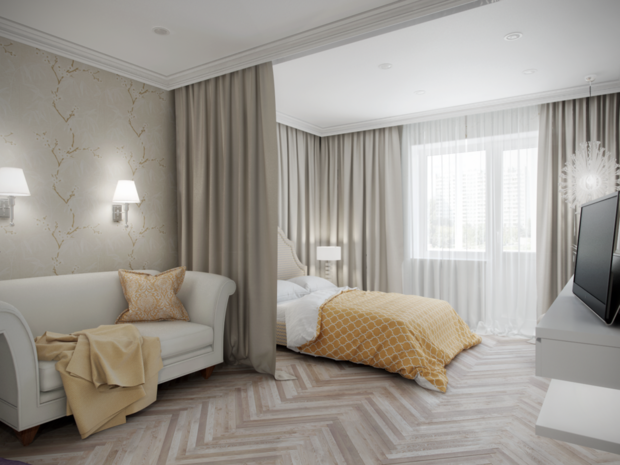 Designer-decorator Marina Sargsyan prefer a regular bed with large drawers underneath. They replaced some storage for seasonal things. 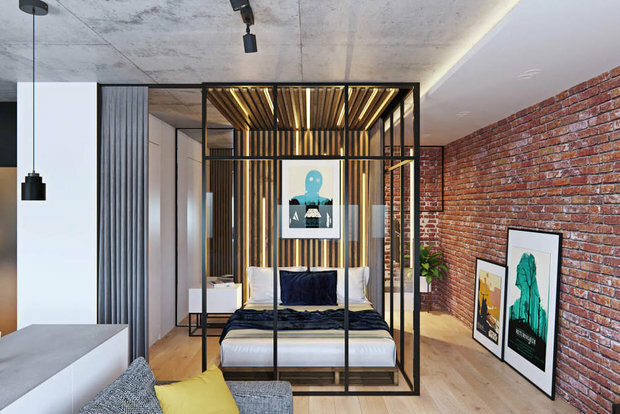 The size of the apartment, which was designed by designer Elena Potemkina, just 30 square meters. In this case living room, bedroom and kitchen combined into one room. To find a place to bed was impossible, so used the system-transformer Clei. Sometimes plays a role not only the lack of square meters, but the lack of natural lighting. 48.3 squares in the project workshop Geometrium could build a wall, but the owners prefer the glass partition. On the one hand, it isolated bedroom with a bed and a wardrobe, which if desired can be closed and blackout curtains. On the other hand, the walls absolutely transparent, and therefore in the mini-room is always light.